DL Yachts just launched their fourth Dreamline 26 hull, the beautiful Akira. The luxurious appointments aboard this elegant 85' vessel include a main-deck master suite as well as VIP guest cabin and two additional guest cabins, a spa pool, hydraulic tender garage, and crew accommodations. The yacht is powered by twin 1,800hp MAN diesel engines. 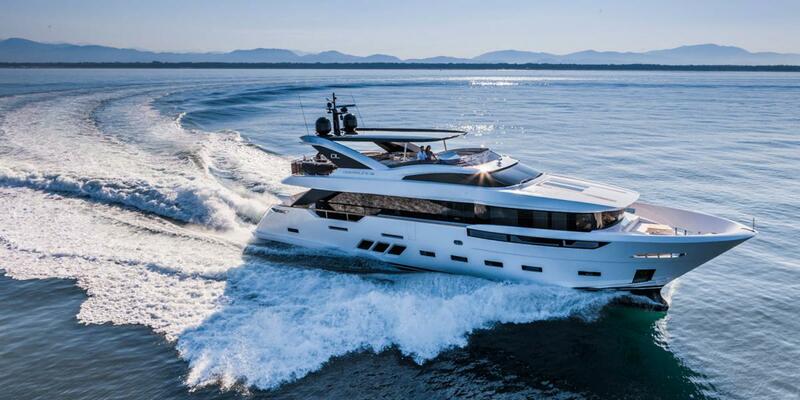 This gorgeous custom-built luxury yacht was launched at Dreamline's Fano facility. Dreamline yacht's name is perfectly suited for the level of luxury and excellence offered in their vessels. Learn more about the Dreamline 26.